I can’t believe that it’s the end of the month yet again. The time’s just flying and it’s almost terrifying to think that New Year’s Eve is two months away. But for now, it’s Update Day, which means it’s time for me to take a look at what I’ve achieved and what I want to do in November. I’m doing this as part of my Big dreams/crazy goals bloghop. Basically, we’re a group of people who’ve set ourselves some big goals and then get together every last Friday of the month in order to post updates on how we’re doing. The idea is to share accountability, celebrations and sympathy as needed in order to keep moving in the direction that we’re aiming to go. Anyone who’s looking to join is more than welcome to do so. All you need to do is click here for more information and the list of participants. 2) See if I can finish the Wo6C3 rewrite. I wrote 28k words at the time of writing this, but might add a few thousand more. Also, I finally managed to put the rewrite of the book into a planned structure, and now know that I’m about 30% of the way through. Yes. Turns out the book will be… hefty. 3) Get back to the BvB2 rough draft. 4) Find critique partners for ES1. Done. I also gave this another editing pass before sending the ms out. 5) Prep the DM1 rewrite for NaNoWriMo. I still feel like this isn’t quite falling into place the way it should, so I’m postponing this to next month. Hopefully I’ll be in a better head space to work on it then. 7) Work on the CdW concept. Eh… Depends on how you look at it. Roughing It by Mark Twain is technically one book, or seven separate books. So I either finished no books or three books, depending on your point of view. 2) If possible read some more of Les Trois Mousquetaires. Didn’t get to this. I’ve been stealing minutes here and there, and reading a classic in French is a bit too involved for that. 3) Since I’m giving myself a break on the number of books I’m reading, I’m upping my average time a day spent reading to 20 minutes. I managed the huge average of 7 minutes. As disheartening as this is, start again to build up some sort of a presence. This I did to mixed results, but I think I can call it done. 1) Be prepared to chop and change my plans in the (unlikely) event of the film concept I’ve sent in being chosen. Managed this. But only just. Nope, and now it’s the time of year where I’m going to put the project away. It’s way too hot now to mess around with wool. As is tradition, I’m taking part in NaNo this year. As is tradition, I’m going to have to do so with some sort of complication. This time, it’s officially starting my new job post-merger. Also, I’m on a bit of a productivity kick, so I’m going to push for a bit more than 50k words. 3) Add words to BvB2 rough draft. 4) Start StW rough draft. 5) Edit ES1 if the critiques come in in time. Given that I’m in for a crazy month, I’m going to give myself a reading break. Do my part in Realms Faire. Twitter, Google+ and Wattpad presence. Settle in with the new job, hitting all required performance goals. Decide on the proportions I’ll save on my salary and devote to helping other people. What about you? Making progress on your goals? Got a big goal that you might want to share? Hi everyone! Today I’m hosting one of my oldest blogging buddies, Patsy Collins for an interview as part of her blog tour. Alice has a fantasy. It starts with being rescued by a hunky fireman, involves the kiss of life and ends in him not needing his uniform. At the New Forest Show, Alice is offered an innocent version of her dream. Reluctantly she turns down fireman Hamish’s invitation. Despite Alice’s blameless behaviour, boyfriend Tony’s obsessive jealousy kicks in. Hamish wants to take Tony’s place, but a hoaxer ensures Alice already sees far too much of Hampshire Fire Service. The threat of an explosive sprout surprise, her mum’s baking, sister Kate’s mind boggling pep talks and the peculiar behaviour of Alice’s boss Miles provide distractions. And now, let’s get started, shall we? Bold will be me. Not bold will be Patsy. Hi Patsy! Thanks so much for visiting the Five Year Project today. First things first: Please tell everyone a bit more about yourself. Thanks for having me over, Misha. Nice place you have here! I’m a British writer. Mostly I write short fiction for women’s magazines and have had hundreds of stories published around the world. Sometimes characters take over to such an extent they fill a whole novel. Firestarter is an example of that. I’m married to a photographer and we spend a lot of time ‘on location’ in our camper van, either for his work or my writing. Most of Firestarter was written where it’s set. Very interesting! So what inspired you to write Firestarter? What gave you your first idea that kicked everything off? Oh help, I don’t know. I often don’t know what sparked off a story. (Oh! Spark – see what I did there?) Now might be a good time to distract you by mentioning there are firemen in this story. Strong, brave hunky firemen with muscular thighs. Handsome Hamish is of course the hottest and hunkiest of all. When he’s not rescuing people from fires or setting women’s desire alight, he’s being nice to animals. I may have developed just the slightest crush as I was writing about him. Researching the food was good. There’s a lot of yummy food in the book and obviously I had to eat it all so I could describe it accurately. The there’s the locations and wildlife. Quite a lot of action takes place at a wildlife sanctuary and, although I’m interested in that kind of thing, I didn’t know enough for some of the scenes. Not all the research goes into the book, but I don’t think that means it’s wasted. When it comes to the actual writing, the parts without Hamish I most enjoyed were the scenes with my main character Alice and her sister. 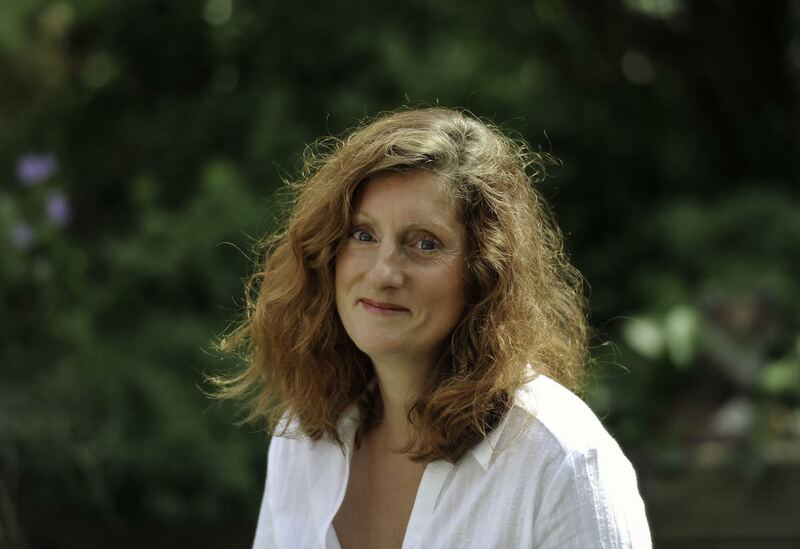 Kate’s dialogue was a lot of fun to write – she said a few things which surprised me! Actually Louise was fun to write too. Even when she was being mean to Alice I felt sympathy for her and let her vent her frustrations a little. I love when characters surprise me while I’m writing. What’s your favorite moment in Firestarter? The final scene is definitely one of them. I can’t tell you what it is as that would give too much away. There’s a satisfying bit where sylish wine snob Tony, persuades Alice’s slime-ball of a boss, Miles Molde to drink warm, flat nettle beer which tastes even more awful than it sounds. Sometimes I feel a little guilty about what I put Tony through. Not Miles though – he deserved it all and more. Sounds like it was fun to write. Tell me about your writing method. Do you have one? Or are you someone who only writes when inspiration strikes? I do try to be reasonably organised with my writing. There are lists on my desks of everything I’d like to get done, so if I’m not in the mood for writing I have other things I can get on with. Although I don’t write every day, it’s very rare for me to have a day when I don’t do something writing related – editing, researching, submitting, promotion, etc. It all has to be done and to me it makes sense to tackle whichever task is currently most appealing. It does make sense. Which phase of the process (writing, revision etc) do you prefer and why? If the writing is going really well then it’s that part as the story just carries me along. Overall though, it’s the first round of editing or revision. At that stage I know I have a story I can make work and whatever I do to it is almost bound to improve it (my first drafts are a real mess). My first drafts are messy too. Are you a plotter or a pantser? Plotter. I didn’t think I would be, but I’ve learned that a flexible outline helps. Oh interesting! Mind sharing how you go about plotting? What works best for you? Give away all my secrets? Oh, OK then. First I take a guess at how many chapters there will be and create a document with headings for each. Then I put in any key points I’ve decided on, roughly where they’ll happen. Obviously these vary with each story, but in a romance you’ll likely to have the couple meeting, realising they’re attracted and finally getting together. A murder story will probably have the body being discovered, important clues and the bad guy getting arrested. Of course it needs a lot of twists and turns, but I start with the obvious and build up. Next stage is to work out, roughly how long a time period will be covered and note in the different months (or days or years). If the period covers for example Christmas, then I note what the characters do, if anything, to celebrate. I consider the weather too – does that alter the storyline? At this stage I try to work out the normal life of the characters. Where they work, who their friends are, if they have hobbies and note when I’ll introduce these points. I just keep on adding details as they occur to me. Often one note will spark a couple of ideas. For example the gift a character is given for her birthday reveals something both about her and the person who gave it to her. Do these things impact on the main storyline? If so how and when? If there are too many points in one chapter I divide it into two. If there’s not much going on, I combine a couple. Once I have enough ideas (which will become scenes) in each chapter, I start writing. Looks like a very sensible process. Where can people find you and your book? The process is very sensible – sometimes the way I apply it is less so. 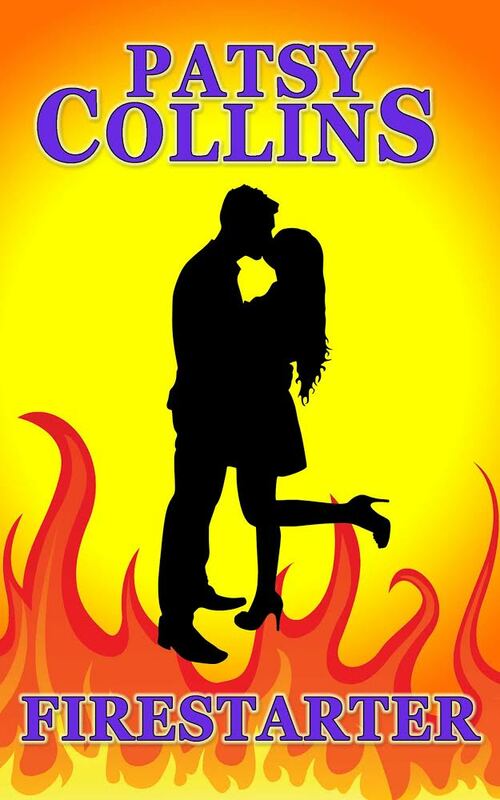 I have a website here – patsycollins.uk and the book is available in paperback and ebook from Amazon. I also have two writing related blogs. Thanks again for stopping by! So, lovely people… I want to know: Do you enjoy research? What did you enjoy researching the most? Gosh. I can’t get over this cover. From Amazon bestselling and popular science fiction and fantasy authors comes Mayhem in the Air, a supernatural anthology of ten thrilling tales. Meet hot robots, hungry winds and the goddess of chaos. Explore alien planets, purgatorial realms, and a shocking place where people bury the living with their dead. 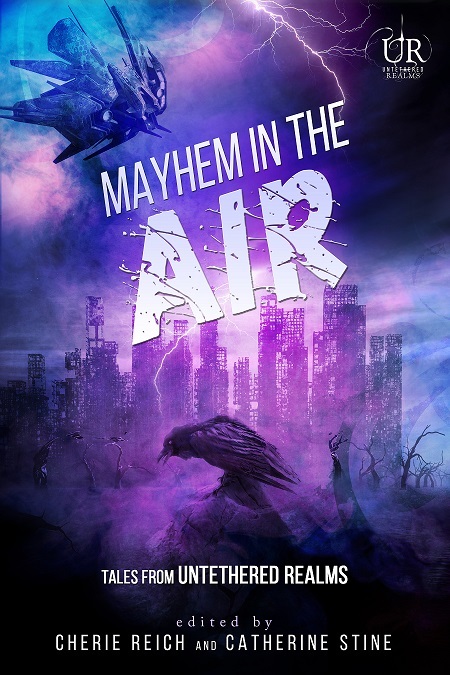 Mayhem in the Air is the second, long-awaited story collection from the dynamic and inventive Untethered Realms group. “A Strange Penitence” by Catherine Stine – A young artist pays a supernatural price when a drawing trip to North Carolina turns deadly. “Mass Transit” by Graeme Ing – For Emily, mind over matter is not just a saying, but the gateway to her career among the largest starships built by man. “A Tangled Weave” by River Fairchild – A TimePulse rips through the Great Tapestry of Life, leaving Earth’s history in a jumble, and Death and Chronos in a race to save the world yet again. “Corrosive” by M. Pax – In a world ruined by pollutants, Bex sets off to establish a new homestead with her dreamy robotic man. Already farming her plot of land is another dreamy man with radical ideas, presenting new challenges as corrosive as the air. “Saving Scrooge: A Short Story Prequel to the Saving Marley Series” by Gwen Gardner – Marley is sent from purgatory to save the soul of his old friend. Can he save his own in the bargain? “The Silent Wind” by Christine Rains – A team of specialists must dispel a mysterious storm on an alien planet to prepare it for colonization. One by one the crew disappears until only a seasoned soldier remains. How can he battle a hungry wind that makes no noise? “Paper Lanterns” by Cherie Reich: In order to keep his promise to his daughter, Mayor Alfred Merry must betray the woman he loves. “Chaos. Hope. Love.” by Misha Gerrick – Although Eris is the goddess of chaos, her life has fallen into a nice and comfortable routine. Until someone from her past shows up in her bookstore. “Cardinal Sin” by Julie Flanders: Beleaguered hospital workers bury the living with the dead in the midst of a tuberculosis epidemic and a seething spirit vows vengeance from the skies. “The Ark” by Cathrina Constantine -Plagued with memory flashes of fiery explosions and running for her life, Fallon emerges from a drugged stupor to find herself in an airborne Ark, and the earth below is a drowning wasteland. Secondly: The Vanished Knight is being featured on Andrea Washington’s blog. She’s a bit new to the community, so I’d love if you said hi. Okay? Okay. Now let’s get into today’s post. After putting out a call for critique partners for that romance, I decided to open it up one more time before it went out for a critique. The last time I had time to do so was in April. I kept coming back to it, though. Even working on it on weekends while working on the beast that would become The Vanished Knight and The Heir’s Choice. (Yes, it was once one book.) In other words, ES1 became the second book I ever finished. Then I rewrote it and lost the entire rewrite the day after I finished it. I know. It was horrible. The loss, I mean. The book was (I think) good. Hard to tell. See that draft is a lot like a dead person to me. You know how dead people suddenly become saintly and perfect after they died? Yeah… like that. There’s this part of my mind that keeps clinging to the idea that that draft was simply marvelous. Even when I never even edited it. Seriously, it was the worst time to lose a draft. Right after the high from finishing it. Needless to say, I didn’t have the heart to start again, so I put the story on the back-burner and worked on three more books. It took me a year, and when I came back to the rough draft, I realized that it was a mess. This time, I loved the story as I wrote it. I loved my rewrite even more. After the pain and slogging that goes with writing the War of Six Crowns series (no seriously. I take four times as long to rewrite any of the books), ES1 was a joy. So when I read it two months after the rewrite, I still had the warm and fuzzies. Six months later… Not so much. Okay, okay I’ll admit that it still makes me go “AWEEEE!” every now and then. It’s just that now that I’ve been able to look at it without my other writing experiences coloring my vision, I’m noticing things. Things like: I deviated far from the genre norms in certain places. (Which is fine. I do it all the time. Just wondering how it’s going to go over with the readers.) Or… I noticed I glossed over a lot of scenes. Which now makes me wonder if I’m being overly critical (glossing over boring things is a good thing), or if I really didn’t put enough attention into some aspects of the story. I’m mulling this over for now, and will continue to do so while the manuscript is with my critique partners. Do you also suffer from warm and fuzzies after finishing a draft? How long do you have to wait to make them go away? It’s Friday again and I’m yet again sitting here, shaking my head and wondering where the heck my time went. I’m currently looking for critique partners for my Historical Romance and am willing to return the favor. What I’ll Critique for you: Basically, I read almost all genres, but I don’t critique MG, Picture Books, Memoirs, Erotica and Horror. Nothing against any of those things personally. I just don’t “get” them, which means that I’ll be pretty dang useless in reading them. You don’t need to be ready for a critique to sign up for this, though. If you’re still working on something, I do keep a tally of people I owe critiques to, so if you help me now, you can drop me a line whenever you’re ready. What I’m Good at Critiquing: Plot, Characterization, Dialogue, copyedits. What I’m Looking for: Pretty much everything, but just let me know what you’re good at so I know when is the best time to send my manuscript my way. It’s set in Texas before the Civil War. I’d classify it as a steamy romance. Not too hot, but the love scenes are there. Wanted: A housekeeper and governess for five children. Position requires living on a ranch in Texas. Family welcome. Sarah McAllister is out of options. Her husband was killed, leaving her with two children and without any prospects. She’s desperate enough to move into the wilds of Texas to save her family. But when she arrives, she encounters: One gunfighter in the making whose best friend is a gambler, one taciturn fourteen year old, twin girls who’ve been allowed to run wild and one boy who’s fixing to be as wild as his older brothers. None of them want her there. Turns out, neither does her employer. If you’re interested in helping me out, please mail me at mishagericke(AT)gmail(DOT)com and we’ll take it from there. PS If you could spread the word to people who might be interested? Pretty please with shiny sprinkles on top! So here I am, a bit late. I promised to be back on Monday, but Monday wasn’t a good day. It started with people visiting our neighbors keeping us awake past twelve on Saturday and Sunday. But just as things settled down on Monday morning, a huge thunderstorm, the likes I have never seen in the Western Cape, came over us. Our cats were like: Meh. Our dogs… Two were in a blind panic. The third was completely confused by the drama, which, in his barking to understand what was up with his buddies… added more drama. I think I fell asleep at 4am. I managed to get work done, but when it came to actually writing anything (blog, fiction, whatever)… no go. By lunch time, I was a zombie. Needless to say, I’m so behind on my goals that I have to hit 3k words every day for the rest of the month to get anywhere approaching the goal I’d set. I’m feeling good about my rewrite, though. So I might just make it. If I don’t have any more horrific late nights to screw up my writing routine. But yeah. So far, I’ve written almost 1500 words today, so I should be making progress. In somewhat unrelated news, I’m struggling to decide if I should still publish Endless this year. The plan had been to have it out by end November, but… it’s hard to set a date when it isn’t clear on when you can actually pay for your cover so that you can use it. *Glances up. * How are you doing? Still alive and well, but will be quiet. Thanks so much for the good wishes and prayers you’ve been sending my way. Things went well at the meeting, which means that we’re moving forward. However, it also means I might be back to having a bit of a manic November (new job, NaNo, other businesses and Realms Faire), so I have to graft now in order to stick more or less to the goals I have left for the rest of the year.